Developer, Network Space, has successfully secured £1.85m of funding to further develop the Mere Grange mixed employment and residential site in Lea Green, St Helens. The Liverpool City Region Combined Authority approved the £1.85m bid on Friday 16 June, as part of funding available through the Single Investment Fund (SIF). Mere Grange is a 21-acre strategic employment site, located close to the M62. The site already benefits from a first phase of office workspace, but phase two will now see the development of 149,250 sq ft of light industrial space, creating around 60 new jobs and bringing £13.9m of investment into the area. In addition, the site could also see the development of up to 120 new homes in a future phase. 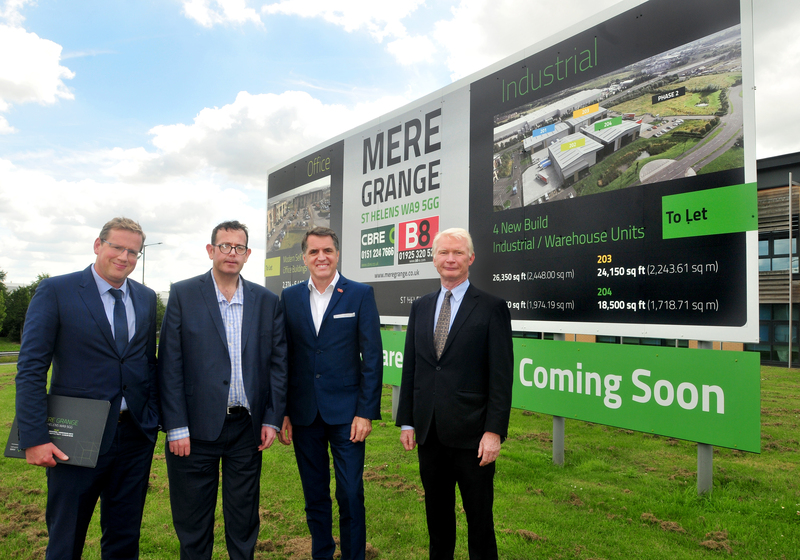 “The approval by the Liverpool City Region Combined Authority of £1.85m of funding to support the development at Mere Grange is fantastic news for St Helens. “The development of phase one of the Mere Grange site has already seen the creation of 154 new jobs. This funding will now allow for the development of Phase 2, which will offer just under 150,000 sq ft of new high quality workspace and provide for approximately 60 new, additional jobs, plus jobs within the construction sector. “This is great news for St Helens as we take forward a new approach to growing the Borough. We know that there is a real need for smaller, modern, light industrial units to support the increasing numbers of small and medium sized businesses, and it is good to see private investment take place that will meet that need and for the City region to be recognising the potential of St Helens.